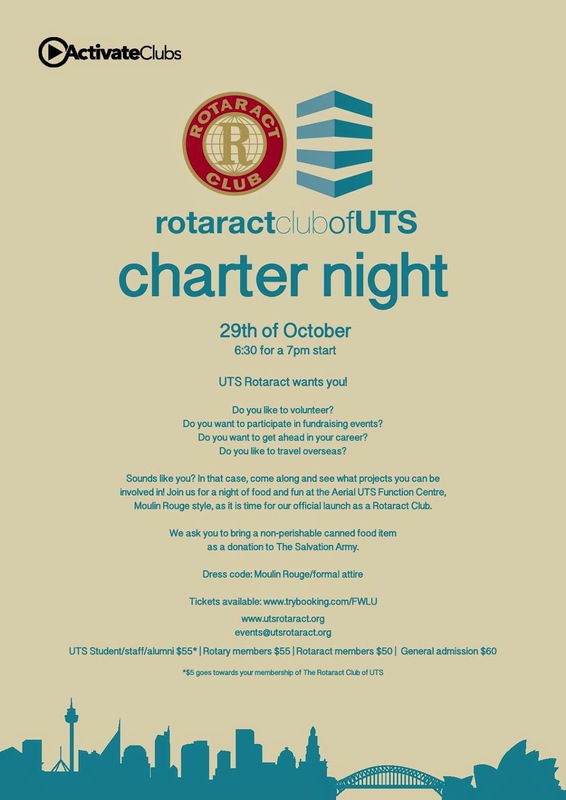 The Rotary Club of the University of Technology, Sydney, will host a landmark Charter Dinner in 2014. These young people are bringing four great pillars to UTS. They stand for community service, international service, professional development, and social involvement. Join in for this glamorous Charter Dinner.